Ficus which are also called figs are among the most popular indoor plants. These are easy to grow houseplants and offer a lot of variety, from low groundcover types to tall trees. Ficus also offer a variety of textures, so there's one for practically everyone's personal style. 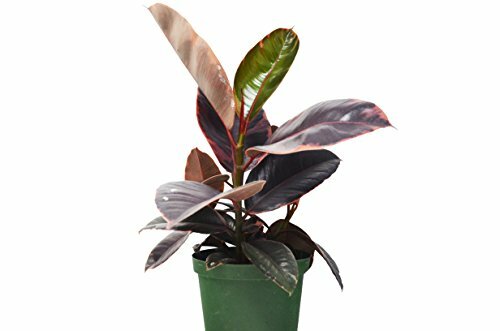 INCLUDES: 1 Premium Ficus 'Ruby Pink' in a 6-inch pot, 12-18 inches Tall. HOUSE PLANT: Great indoor house plant with bright colors to energize the room.